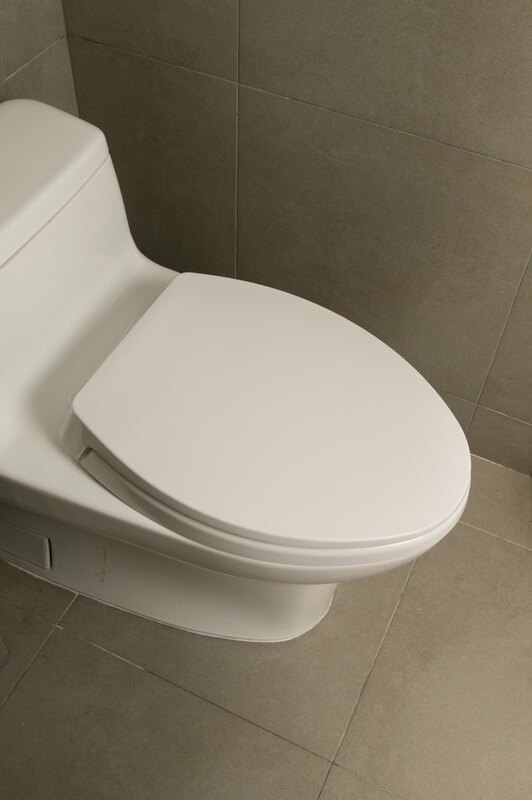 A knocking sound, or water hammer, may occur in your water pipes after you flush your toilet. Such a sound usually indicates that a pipe's air chamber, which is located in a line near the toilet, has filled with water. This may happen one or more times in the course of a year. Even though the toilet's knocking sound may disturb you, nothing will burst, break or fall through the roof, and you can easily remedy the cause of the problem. Toilets may make a loud noise when flushed. Look under or behind your toilet and locate the water shut off valve. You'll find a knob or lever attached to a pipeline between the wall and the bottom of the toilet tank. Turn it all the way to the right, and then flush the toilet; the tank should not fill up with water with the shut off valve in the closed position. Locate the primary valve that controls all the water that comes into the house. Normally you'll find this in the basement of a building, on the street-side wall of the structure. In certain cases, you may see a water meter in the crawl space of the building with a shut off valve attached. Turn the water control valve, usually a knob, to the off position to discontinue all water flow to the house. Turn the cold water faucets on at the highest point and lowest point of the house and leave the taps on until the water stops dripping. Turn the faucets off. This effectively drains out any water that has accumulated in the pipe's air trap. Go to the main water valve of the house and turn the water valve back on. This replenishes the water supply to the home. Turn the water supply valve to your toilet tank back on. Let the tank finish filling with water and then flush the toilet and check for noise. Truell Bliss retired from the restaurant and hospitality industry after almost a lifetime of service. An officer in the American Culinary Federation, he earned his dietary manager certification and progressed into positions as chef instructor, chef manager, dining services operations manager and finally, director of food service.